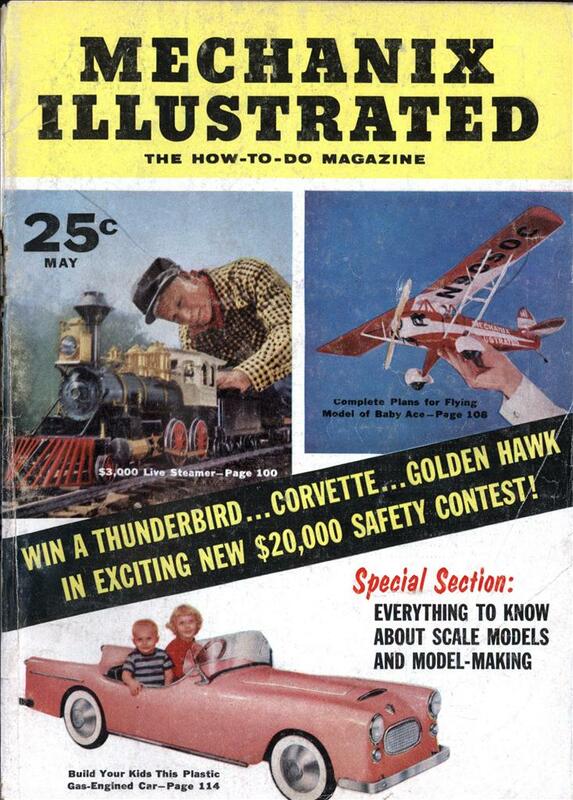 That is one hell of a present for your kid, though with that giant hood it looks like the turning radius is probably similar to a real sports car. 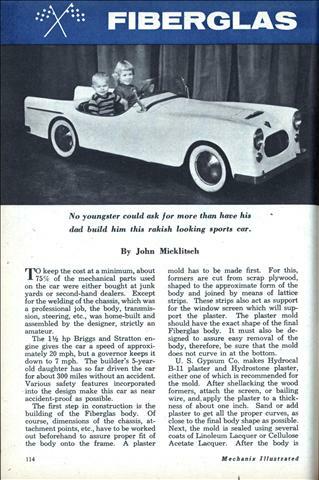 No youngster could ask for more than have his dad build him this rakish looking sports car. TO keep the cost at a minimum, about 75% of the mechanical parts used on the car were either bought at junk yards or second-hand dealers. 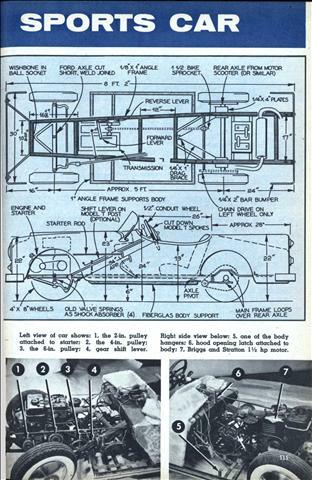 Except for the welding of the chassis, which was a professional job, the body, transmission, steering, etc., was home-built and assembled by the designer, strictly an amateur.